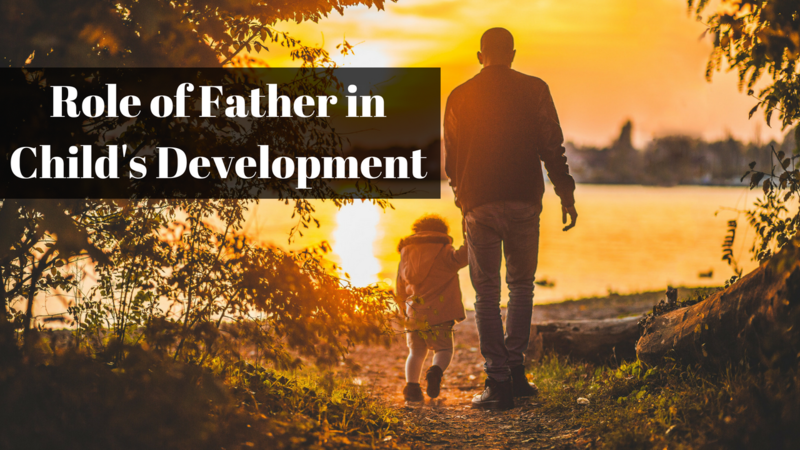 The role of father love in child development is of significant importance. Their role helps to mold and shape the child as they grow both physically, mentally, and socially. Many aspects of a father affect how a child develops. Differences in involvement among unemployed and employed men are very important. The amount of time that the father is available to help raise the child affects the type of relationships that the child may have later in life and their social role (Radin & Harold-Goldsmith, 1989). There are also effects of father absence on educational achievement and intellectual development among children ranging from age six to eleven. Children who have a father that plays an active role in their schoolwork and extracurricular activities are more likely to excel as an individual (Svanum & Mclaughlin, 1982). Another study was on the effects of paternal involvement on infant preferences for mothers and fathers. Results showed that paternal involvement had no effect! ton preferences displayed by measures of attachment behavior (Lamb, Frodi A., Frodi M., &Hwang, 1983). The observed social behavior of children and parents from stepfather families was also taken into consideration as a possible effect of child development. Families represented by any kind of marital conflict implied explanations of the children’s social behavior (Santrock, Warshak, Lindbergh, &Meadows, 1982). All of these studies showed how the role of the father either affected or did not affect the development of the child. Father love also displays significant importance in child development. Children’s behavior is more easily predicted by father’s love than the mother’s love. Closeness between a father and his son or daughter contributed more so to the children’s happiness, amount of behavioral problems and overall psychological well-being than that of the mother and child (Rohner, 1998). Gender differences also play a role in children’s behavior. Our research showed that a single pattern of paternal love-related behavior may be associated with a certain outcome for sons and a totally different outcome for daughters. An example of this is shown when a daughter’s self-esteem is best predicted by the father’s physical affection, whereas the son’s self-esteem is best predicted by the father’s sustained contact (Rohner, 1998). Rohner (1998) noted that paternal love and affection was just as predictive of children’s life satisfaction and well-being as was the love of a mother. In summary, this article shows how father love is profoundly implicated in children’s psychological well-being, health, and in behavioral problems (Rohner, 1998). This demonstrates the importance of father role in child development. Harold-Goldsmith (1989) shows the difference in involvement among unemployed and employed men with their children. The participants were 48 non-divorced families who were primarily white (Radin & Harold-Goldsmith, 1989). They were families that had jobs and who also had a child in preschool or kindergarten (Radin & Harold-Goldsmith, 1989). Seventeen of the fathers did not have a job and thirty-one of them worked (Radin & Harold-Goldsmith, 1989). Letters were sent to families whose child enrolled in kindergarten, had records indicating that there were two parents in the home, and that the father was jobless. The families were then contacted by phone or visited at home when they were unable to be reached via phone. They were asked if they’d like to participate and if they agreed then an interview was set up (Radin & Harold-Goldsmith, 1989). The participants were interviewed separately at their own home for about one hour. A questionnaire was used to guide the interview as the person conducting the interview read the questions aloud to the parents. The Paternal Involvement in Childcare Index (PICCI) was used as a scale to measure the parent scores (Radin & Harold-Goldsmith, 1989). Separate scores were given to the parents based on their responses. They were placed within five categories. The scores of the five categories were added together and a total was given to each parent for father involvement. The scores of the two parents were then added together and this total was known as the Paternal Involvement in Child Care Index (PICCI) grand total score (Radin & Harold-Goldsmith, 1989). “The hypothesis regarding the ability of each parent’s work status, father’s view of the flexibility of his role, and the birth order of the child to predict father involvement in the total sample was supported” (Radin & Harold-Goldsmith, 1989, p.457). We are shown that all four independent variables were of great contribution to the differences in participation of the father. Father participation was at its highest when the father had no job, the young child was close to the oldest child, the father was flexible in his role, and when the mother was working. It was also found that birth order of the target child was an important factor in father participation (Radin & Harold-Goldsmith, 1989). Flexibility of the paternal role, availability of time on father’s part due to his unemployed status, the increased demand for his participation due to his wife’s employment, and the absence of other children who could take responsibility for the young child had influence on the amount of father involvement in childcare (Radin & Harold-Goldsmith, 1989). Jobless fathers place more importance on other indicators that he is fulfilling the male role. If the fathers do not feel their manliness is threatened by caring for a young child then they may actively participate in child rearing. This is done despite the fact that their wives are home and not working, and there are older brothers or sisters in the home. Investigators said that unemployed men who were more involved with childcare had relatively good psychological well-being ( Radin & Harold-Goldsmith, 1989). This leads us to think that maybe it was psychological well-being that led to the greater involvement in childcare. The fact that the fathers without jobs are more involved with their children could be an asset in the child’s development despite the tragic reason for the paternal participation. This article was strong in the fact that the scale (PICCI) they used to rate the parents’ scores was highly recognized for its reliability and validity. It had been used for many years and found to be very helpful and supportive of past studies. I feel that the children of jobless fathers should have been interviewed as well. This would have given the researchers another view of the father’s participation in caring for their child. In this study they focused only on the parents view.